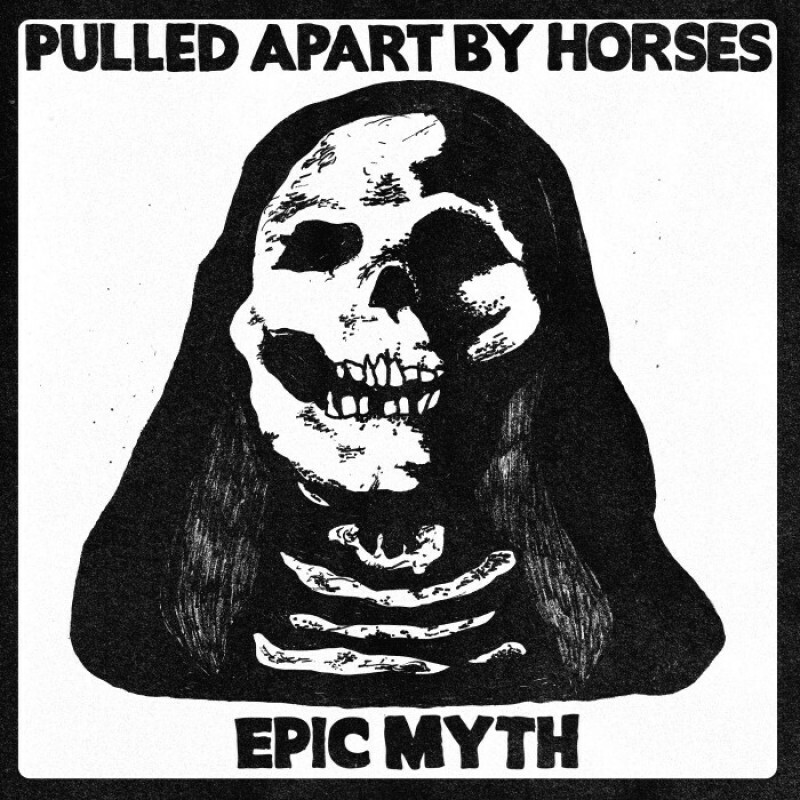 ‘Epic Myth' will be released as a single this coming November 19th, it's classic hook and riff heavy rock, done like only Pulled Apart By Horses can. "Epic Myth' is loosely written around the story line from one of (frontman) Tom's favourite horror films 'Inferno' by Dario Argento,"
single from the album and we wanted to go out with a bang and this bangs!" first 100 will be signed. The B-side is an unreleased track called ‘Spooky Wooky'. In addition to this , the band are proud to announce the release of a deluxe version of ‘Tough Love', to be released by Transgressive Records on the 10th of December. "Welcome to the Tough Love sessions! We've had a monumental year and would like to celebrate it by bringing you a collection of rare and unreleased tracks so you can delve deeper into the world of Tough Love," explains drummer Lee Vincent. "We're very proud to bring you all our b-sides (including those from our debut album), demo's from the Tough Love writing sessions - recorded and mixed by our Rob in a dirty basement in Hyde Park, Live session tracks and even a very special live cover recorded on our European tour. Enjoy!"